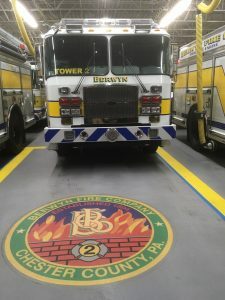 On Wednesday, May 31, firefighters from the King of Prussia Volunteer Fire Company traveled to Berwyn Fire Company, Chester County Station #2 for their weekly drill. 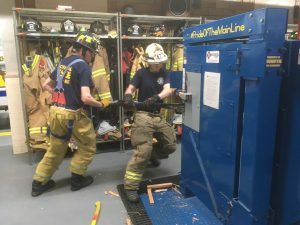 The firefighters conducted hands-on forcible entry training using Berwyn’s forcible entry training simulator. Personnel practiced one- and two-person techniques for forcing open inward and outward swinging doors. 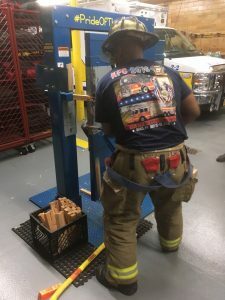 These skills ensure firefighters are able to quickly and efficiently gain access to buildings in emergency situations to save lives and protect property. 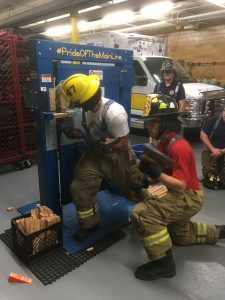 Thanks goes out to Berwyn Fire Company and Assistant Chief Matt Valocchi for setting up this drill!